​January 2019 -- Our Emerald Bay project continues to inspire, and makes the @DeringHall list of "50 Cozy Sitting Areas & Family Rooms." See more photos from this project, Emerald Bay, here. Photography by Nancy Elizabeth Hill. See our page and other projects on Dering Hall here. January 2019 -- We kick off the new year with another one of our projects featured on @DeringHall, "Decorative Barn Doors." In this case, the barn door is functional and decorative, lending to the overall relaxed, farmhouse aesthetic for our client, an avid equestrian and animal lover. Photography by Huestis Tucker Architects. December 2018 -- One of our recent projects was included in the @DeringHall feature, "45 Stylish Mudrooms & Entries." October 2018 -- We are so pleased to let you know that one of our recent projects was featured by @DeringHall. Thanks Dering Hall! Our Modern Farmhouse project in Litchfield County is now featured on deringhall.com, in their piece, "25 Farmhouse-Style Exteriors." Photos are by John Gruen. Dering Hall invites you to be inspired by "one of the most popular architectural home trends in recent years," and to, "browse [the] exteriors to decide on your favorite farmhouse beauty." May 1, 2018 -- One of our projects, Carriage House Re-imagined, in Fairfield County, is included in the current issue of athome magazine. The Color Issue feature, "Designed to Scale," is an interview with interior designer Karen Bow, of Karen Bow Interiors in Darien. She worked on the interiors of the barn we designed in 2015. Click on the cover photo to see the article (best viewed in Google Chrome browser). You can see more photos from the project on our web site here. January 1, 2017 -- Connecticut Cottages & Gardens January 2017 issue features a photospread of a recent residential project in Litchfield County. The web version of the feature, "Tour an Art-Filled Modern Farmhouse," includes a slideshow. ​We want to thank DJ Carey, the editor of CT C & G, Suzanne Gannon, who wrote the article, and John Gruen, who took such great photos. We especially want to thank our clients for allowing their home to be published. This project was a great collaboration with them and with Marcia Tucker, the interior designer (no relation, just a coincidence). It was fun to see what a few small moves could do to change the feel of a house, and really rewarding to see it finished and decorated so beautifully. ​October 23, 2016 -- Houzz featured one of our kitchen projects in the article, "The Second Rule of Home Staging: Keep It Fresh: Updates don’t have to break the bank, and they will give your home more buyer appeal," by interior designer Neila Deen. The article, part of Houzz's "Selling Your Houzz" section, highlights the importance of the kitchen in making a sale. You can read the article here. And be sure to check out our Houzz pages. "Kitchens and bathrooms are crucial to the sale — specifically, the sale price — of a home." January 2016 -- For the fourth consecutive year, Huestis Tucker Architects has been recognized by the Houzz community for design and given the "Best of Houzz" badge "as a sign of their commitment to excellence." August 2015 -- Houzz has selected Huestis Tucker Architects as a "Houzz Influencer." According to Houzz, Jennifer Huestis' knowledge and advice is highly valued by the Houzz community. Huestis Tucker "designed an authentic Shingle-style home with broad overhangs and large front porch that fit right into the neighborhood context, and made it energy efficient, too. " “I’m proud that we were able to create a house that, despite being quite large and very traditional-looking, actually is really on the cutting edge of energy efficiency—and is also very livable,” says Bob Tucker. 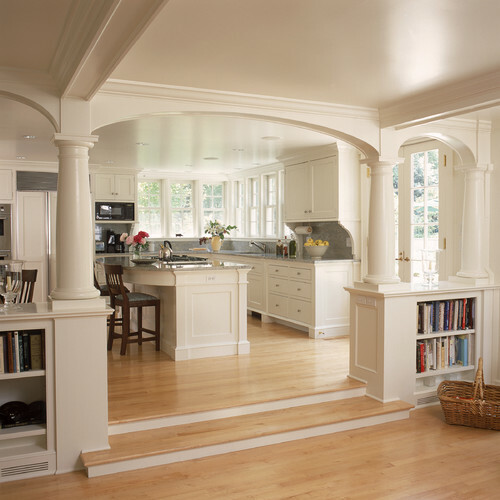 [WOODBRIDGE, CT] -- February 20, 2013 – Huestis Tucker Architects of Woodbridge, Connecticut has been awarded “Best Of Houzz” 2013 by Houzz, the leading online platform for residential remodeling and design. 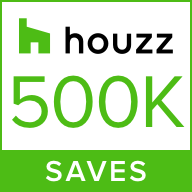 The 15 year old firm was chosen by the more than 11 million monthly users that comprise the Houzz community. The Houz “Best Of Houzz” award for 2013 is given in two categories: Customer Satisfaction and Design. Customer Satisfaction award winners are based on homeowner members who rated their experience working with remodeling professionals in 12 categories ranging from architects, and interior designers to contractors and other residential remodeling professionals. Design award winners’ work was the most popular among the community of 11 million monthly users, also known as “Houzzers,” who saved more than 124 million professional images of home interiors and exteriors to their personal ideabooks via the Houzz site, iPad/iPhone app and Android app. With Houzz, homeowners can identify not only the top-rated professionals like Huestis Tucker Architects, but also those whose work matches their own aspirations for their home. Homeowners can also evaluate professionals by contacting them directly on the Houzz platform, asking questions about their work and evaluating their responses to questions from others in the Houzz community. Huestis Tucker Architects, LLC (www.huestistucker.com) is a full service firm specializing in custom residential, commercial, and corporate architecture and interior design. The firm was founded in 1998 by Jennifer Huestis and Bob Tucker, a husband and wife team. Together with their staff of experienced and talented designers, Bob and Jennifer create thoughtful, high quality, timeless designs which express their clients’ sensibilities and embody their dreams while enhancing their quality of life. Huestis Tucker Architects, LLC has completed over 100 projects in Connecticut, Massachusetts, New York, Pennsylvania and Utah.